Boeing has received one of the highest industry honours from New Zealand Minister of Defence Ron Mark for its program to upgrade the Royal New Zealand Air Force’s P-3K2 Orion fleet. 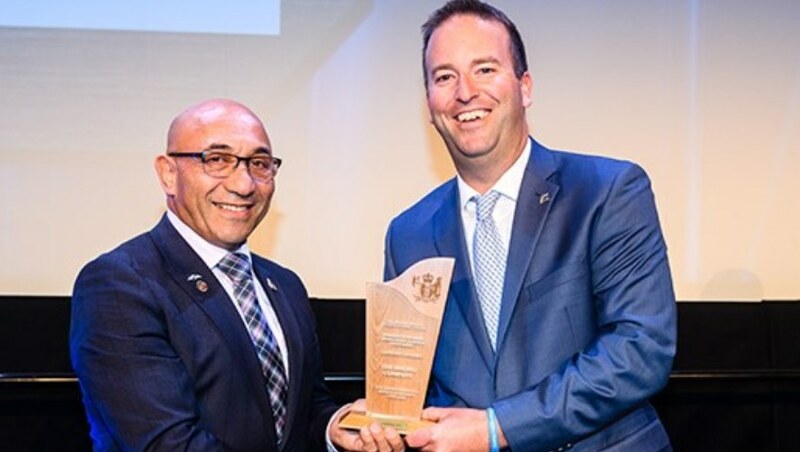 Boeing was tasked with upgrading the fleet with underwater acoustics and intelligence capabilities, and received a Minister of Defence Award of Excellence following the New Zealand Defence Industry Association Forum. After receiving the P-3K2 Orion contract in 2016, Boeing and its partners have delivered an integrated solution that advances the RNZAF's airborne anti-submarine warfare capability. “Boeing’s exceptional leadership of this upgrade project, with the team of New Zealand companies supporting it, is a great example of the collaboration that I am keen to see expanded into other defence capabilities,” Minister Mark said. The upgrades were developed in the US and tested in New Zealand, and will enable the RNZAF to more effectively discover, monitor and deter submarine threats. “The upgrade of the Orion acoustics system, which was tested successfully under RIMPAC’s [Rim of the Pacific Exercise] realistic conditions recently, ensures New Zealand retains its maritime patrol capabilities,” Minister Mark said. “This award is a testament to the collective one team spirit and commitment to success we share with our program partners and customer,” said Boeing underwater intelligence, surveillance and reconnaissance program manager Rob Bergeron. Boeing has so far delivered four systems to the RNZAF, with two remaining scheduled to be delivered by next year. Boeing shared the award with partners Airbus New Zealand, Beca and Marops.